If you’ve been eager to learn more about the sessions and workshops we’ll have at this year’s Writer Unboxed UnConference (in Salem, MA, 11/4-11/8), this is the post for you. Read on for a more detailed look at our program, and visit our page at Eventbrite for more specifics and to sign up. Hope to see you in Salem! Fiction that sweeps us away is the goal, but what elements produce that effect? What enthralls us? How are reader hearts taken hostage? How do stories come to matter to us to an extreme degree? How does a lone individual’s story become a journey for us all? How do stories become magical, dangerous, inspiring, and full of wonder? In this hands-on workshop, explore the techniques of timeless storytelling. Ever wonder how some authors make their novels so engrossing? Perhaps the secret is simple: it’s all about the pacing. In spite of its importance, the pace at which a story moves is often a neglected topic in craft books. In this session, we’ll unlock the mystery of perfect pacing within a scene—whether it be brisk or measured—as well as within the trajectory of the story as a whole, by examining the work of expert writers and discussing tips for our own works. We’ll also dig into story/scene structure, and the ways in which characters play into a well-paced story. Any piece of writing can rise or fall on the selection of telling details. Historical fiction is particularly well-known for using the right level and type of details to draw the reader into the imagined world, but no matter what genre you write in, weaving the right details into your story can sweep your reader away. How do you find these details? What’s the right balance of description and action? How do you know when you’ve gone too far? We’ll answer these questions and more. Relatability is an issue for all novels, not just those that are culturally diverse. What makes readers feel welcome? What makes unfamiliar settings feel familiar? How do unusual characters become universal? How do even foul characters and polarizing stories win us over? Find out in this hands-on workshop. Words are a writer’s paints and brushes, our musical notes. This workshop will explore ways to bring your word work to the highest possible level by diving into the various tools and techniques that can strengthen your every day writing, and make the final draft sing. Each individual is driven by a profound inner yearning that defines her dream of life: the kind of person she wants to be, the way of life she hopes to live. What holds her back from fulfilling that dream? Forces of Resistance: weaknesses, wounds, limitations, flaws, as well as external opposition and obligations. This core inner conflict informs the character’s sense of lack at the outset of your story. In this session, we will learn how to plumb the character’s past for these counteracting forces. The conflict between Yearning and Resistance is not merely internal. It reveals itself in habitual patterns of behavior that, to one degree or another are “ruining her life.” These habits are rooted in moments of profound helplessness or awakening outside the individual’s control that both reveal and define her deeper self. In this session, we will explore how to discover those generative moments of helplessness and awakening and build them into the behavior that defines the character’s way of interacting with the world at the story’s outset. In every story, the conflict between Yearning and Resistance, rooted in behavior developed over time, gets disturbed by an opportunity or misfortune that obliges a need to act. This need to act will compel the character forward, into a gauntlet of conflicts, setbacks, and revelations that will by necessity force her to reevaluate her current sense of purpose and identity, her capabilities and shortcomings, and her relationships with others. That reevaluation will create the impetus for discovery and change. From the moment a writer meets her first form rejection, it’s apparent: The publishing industry can pummel the tender creative soul. Pulling from her six years of “Turning Whine into Gold” posts at Writers in the Storm, Kathryn will lead a discussion about ways to protect our creative groove by psyching ourselves up, goosing ourselves on, patting ourselves on the back, reframing failure, refilling the creative well, and otherwise remembering why we wanted to be a creative writer in the first place. Bring your best strategies and favorite quotes to contribute. Setting is a vital part of any book. Instead of being a mere backdrop, it can be very important to character development and even become a character in its own right. Here we take a deep-dive into setting. We’ll look at what it takes to make setting into a character, describing the sights, smells, and sounds of a place. Then we’ll explore your character’s emotional response to the setting through a writing exercise. There are moments that change us forever. Their effect, though, is made not in the moment but in the lead up to that moment. In this hands-on workshop, learn how to lay the groundwork for earth-shattering character transformations. Do some bestselling authors draw upon fame and history to lure readers to buy their books? If you follow WU’s monthly Flog a Pro series, you know that opinions on the merits of first pages from bestselling novels differ widely and generate plenty of commentary. In this session, Ray Rhamey will conduct a workshop wherein you vote Yes or No on pages from bestsellers and then Ray leads the group through critiques of the pages. Having a lively exchange in real time will even better illuminate the whys and why nots of a page’s success or failure. And succeed they must, just as your first page has to if you want anyone to dive into your story. Each of us has a unique, powerful core story, born of the particular events and conflicts of our own lives. If you’ve ever wanted to go deeper, to understand why you’re always writing outsider stories or motherless characters (when you have a mother who is lovely), join this workshop, Explore the underlying tale that is the fingerprint of your work by using writing exercises and discussion to bring greater authority and voice to your work. Whether you’re a free spirit who just likes to sit down and write, or a compulsive planner who needs to know how the story ends before you write a word, constructing a piece of book-length fiction can be a daunting challenge. While we will touch on some popular structural methodologies (Hero’s Journey, Save the Cat, etc.) this is NOT a session about writing to some cookie-cutter formula. Rather, we’ll explore how an increased awareness of the structural components of your story – and how they are arranged and applied – can help you tell that story in an even more compelling and impactful way. Plotters can use these insights to frame the skeletons of their new stories, while pantsers (people who write by the seat of their pants) can apply these concepts as diagnostic tools both to strengthen their storytelling and to detect any gaps or weaknesses that could bring their story tumbling down like a collapsed Jenga puzzle. The writing process is mysterious. Do you ever feel like you’re doing it all wrong? Your work-in-progress just doesn’t feel like any of the others, and you’re frustrated and discouraged, and having trouble moving forward. In this session, we’ll examine the way our lives intersect with our stories, and how we can effectively utilize our strengths to inform the writing process. In addition, we’ll discuss how to harness our energies through the emotional ups and downs of the writing process in a way that is both effective and nurturing to our creative selves. Participants will be encouraged to share their experiences. Richly-imagined settings exist independently. They become like characters, telling their own stories in parallel to your plot. But how? In this hands-on workshop, explore the methods of building highly colorful settings and weaving them inextricably into your stories. Traditional methods of plotting typically use methodical, even mathematical left brain forms and graphs. What if you could tap into the right brain to walk into the world of your characters and the book to holistically explore the world, spirit, and energy of a book to make plotting more organic (and easier!) Using collage, art materials, music, and other playful tools, we’ll explore plotting through non-traditional methods to find layers, depth, power, and maybe more pleasure in plotting. Are villains born or made? If born, to what degree do they possess insight into their excessive selfishness and objectification of others? And does that insight include some element of self-control or the capacity to change? If they are made, what forces in their upbringing turned them away from virtue and community and instead created a need to prey on others? Are they brooding and solitary or sunnily successful? Do you need to reveal the horrors that shaped them or is it better to conceal all that from the reader—for nothing terrifies more profoundly than a threat we fail to understand? Is your villain monstrous or Satanic, and how can you tell the difference? We’ll explore these questions and others in this darkly fascinating session. Calling all romance writers-or anyone with a romance element to their story! The meet-cute is that moment when your characters meet for the first time, click (or don’t click), but some kind of chemistry is established that makes the reader want to root for them as a couple. But it can’t be all about “oh, his beautiful eyes” and “check out her shapely behind.” This session will delve into unique ways to establish character chemistry so your story doesn’t sound like all the others. It will include brainstorming and the chance to share a few weird stories. Conflict is the fuel in the engine of your novel. It increases your reader’s engagement with your story. It can quicken your story’s pace, add depth to your characters, and drive the narrative arc. But how do you increase conflict without haphazardly tossing obstacles in the way of your protagonists? How do you create conflicts that are not only logical, but gradually increasing in an organic way for your characters? It starts and ends with character. This session will show you how to use your characters to create the structural conflicts that create compelling narratives. A story isn’t powerful because of what happens, but because of what changes because of what happens. Thinking of that change as happening only within the protagonist turns a blind eye toward change within other characters, relationships, the community, nature—even objects can change, creating powerful symbols. This look at macro-editing will focus on secondary arcs that will enrich your story. One of the keys to an unforgettable reading experience is a story told in a distinctive and compelling voice. A primary tenet of this session is that voice is a choice – not an accident. Whether you’re looking to polish and focus a narrative voice that comes to you organically, or specifically crafting a voice to heighten the impact of your story, there is a wide range of concepts and techniques you can apply. We will examine some memorable voices from novels across a broad spectrum of styles and genres, and explore some of the techniques the authors employed. The goal of this session is to get you thinking about voice in new and different ways, and prepare you to experiment with applying some new concepts and techniques to your own work. Go ahead, open your characters’ mouths and let the words fall out—on the first draft, as a way of getting to know them. Then edit, because well-crafted dialogue can do so much more. In this session, we’ll analyze masterful dialogue for the ways what is said, done, and left unsaid contribute to characterization and story movement while engaging the reader. Character Q&As are rarely helpful when it comes to truly understanding who our characters are, at root, and why they choose to behave the way they do throughout life and in critical moments throughout our stories. This session will introduce you to a new way of understanding and exploring your character, at the start of your story, and as your story grows into itself. This workshop will be made more powerful by asking attendees to explore their own territories for context and relatability as we go. You know the difference between first person and third person, present tense and past tense, an intimate character study and a wide-ranging epic. But these are only a few of the dozens of decisions that go into shaping a fictional voice. Let’s look at the full range of tools you have at your disposal–including dialogue, verb choice, vocabulary, observation, repetition, narrative idiosyncrasies, in-character metaphors and more–and examine how each of them helps to bring the voice, or voices, of your story to life. Receiving feedback from others, understanding what is working and what is not in your work-in-progress, and making revisions based upon what you learn, can make or break your work. New York Times and internationally bestselling author Brunonia Barry describes her unconventional approach–directly asking future readers for feedback between drafts. She’ll also share how she found readers, some of the roadblocks she faced, and what she did to overcome those roadblocks. Show don’t tell, they say. But when it comes to emotion, how many ways are there to really show it? (Heart pounding, hands sweating, anyone?) If our ability to describe something is limited by our own personal experiences, think how much better it would be if we all worked together. This session will involve group memory-mining to create a bank of visceral experiences we can use to improve the emotional punch of our stories. Please note, the success of this session depends on everyone’s willingness to share. This session touches on how writers can organically incorporate important topics into their writing. Whether it’s by having a certain historical event or setting as a backdrop, having characters experience something important, or simply busting up tired stereotypes, there are many ways to include weighty themes. Under this umbrella, we will discuss what a writer’s role in society is and could be — change maker or reflector? As part of this, we’ll also discuss the #ownvoices movement, the dearth of writers of colors in the publishing industry and what that means for white writers, and how white writers can be allies. Being a writer often means dealing with insecurities. It’s a subjective industry, rampant with rejection, harsh critiques, and often little to no financial compensation. This session addresses how to harness your fears to make your writing more powerful, since writing what you’re most invested in — and what jars you the most, emotionally — is often what readers will respond to the most strongly. It also addresses how to prevent your anxiety from hamstringing your creativity by using your “deep dive” into your emotions to identify what’s really troubling you, and negotiating ways to keep moving forward in your writing pursuits. How Do You Want Your Novel to Change the World? “The purpose of writing a novel is not to get published. Every person has a story and purpose, a powerful message,” Don said, then asked us to write the question at the top of an index card. Then, to answer the question…and keep the card near where we write, to look at often. First, let me ask you a question. Do you think that writing fiction is a worthwhile—a really important—endeavor? Even if you don’t get published—ever? Even if no one else ever reads a word you write? As a child I was told I would be a scientist, a doctor to be specific. It wasn’t that simple, though. My parents told me that if I didn’t “do something with my life that helped people,” specifically helped people in a very direct way, I had wasted my life. Not my abilities. Or talent. My life. This was a given. Not a question to be discussed. A given. And a recipe for failure. Perhaps needless to say, when I went to college, I had no idea what I wanted to do. I finished three years of pre-med, then switched to journalism, and that’s when I realized: I wanted to write. To be a writer. It was the only thing that made me feel good. It was the only thing that made any sense to me. But how the hell was it saving anyone or anything? If you’ve been thinking about registering for the 2nd Writer Unboxed UnConference, which will take place this November 7th-11th in Salem, Massachusetts, now may be the time to revisit that thought. Early Registration closes in ~two weeks, on Sunday, June 19th, and we are currently at 80% capacity. Visit our SESSIONS post for the latest, or hop directly to Eventbrite to register. We hope to see you in Salem! The Writer Unboxed Un-Conference is unique. Part symposium. Part networking affair. Part workshop. Part retreat. In other words, we’re going to lean on our strengths, the qualities that have made Writer Unboxed such a strong site and community. We’re going to empower you. But this time, we’re going to empower you in person. TWO HALF-DAY WORKSHOPS will be presented during the event: one by Lisa Cron on STORY GENIUS, the other by Donald Maass on UNBOXED CRAFT. EXTRAS are still evolving, but will include a “Night Write” at the historic House of the Seven Gables, morning meditations, “hot topic” lunch opportunities with session leaders, walking groups, bedtime stories, a flash fiction challenge, and more. All extras are optional for you to join or not, as you wish. WRITING SPACE will be made available to you throughout the event. Join for quiet group writing in the mornings (“morning coffee”), or anytime. The Writer Unboxed UnConference will kick off on Monday, November 7th in Salem, Massachusetts, and span the week, culminating in a workshop by Donald Maass on Friday, November 11th, and a wrap-up party. Sessions will take place in the Hawthorne Hotel’s Library and Ballroom, and at The House of the Seven Gables Visitors Center. 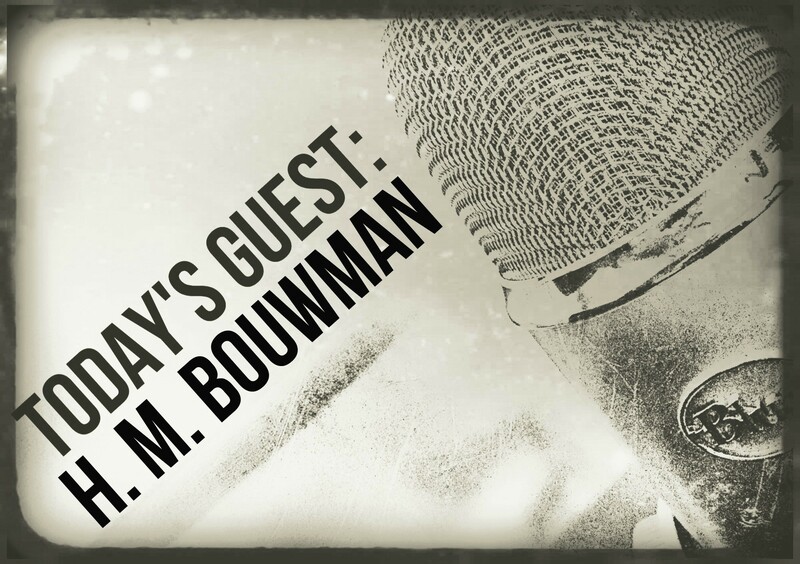 Please welcome guest H.M. (Heather) Bouwman, author of A Crack in the Sea (forthcoming in 2016) and The Remarkable & Very True Story of Lucy & Snowcap (2008). Heather lives with her two kids in St. Paul, Minnesota, where she teaches at the University of St. Thomas and writes novels for middle-grade child readers. She is a martial artist, a homeschooling mom, a reader-aloud of books, and a baker of cakes. In her free time, she does not clean house or care for her lawn. Her neighbors love her: she makes them look good. I’ve been intrigued for a long time with writers’ success stories, which generally include many years spent working in obscurity in a (usually metaphorical) dark garret, and dozens of rejections weathered before the writer is finally discovered and rises to fame and/or fortune. I’ve long found these stories troubling, and I wanted to parse out why. Connect with Heather on Facebook and on Twitter. Like many writers, I am an introvert. But I’m also a nut for learning new things through lectures, workshops, and presentations. You can see, perhaps, how conferences might present special benefits and challenges. I have twice attended the premiere national conference in my genre, an enormous five-day event in which people spill from thousand-seat keynotes into dozens of smaller workshops and lectures and, from there, trickle out into the lobby and hotel bars, after which they ooze into large group dinners and costume parties (yes) that last late into the night. Most of my writer-colleagues love this conference; I have friends who trek to it every year, who plan vacations so as not to miss attending, who think of this conference as their yearly chance to meet up with hundreds of old friends—and to make new friends, to network and forge new alliances in the publishing world, to meet with editors and agents, to hear from amazing voices in the field, and to learn new marketing techniques. I cannot even tell you how much I hate this conference. The last time I attended? 2011. Fast-forward to September of 2014, when I received one of two WU scholarships to attend the UnConference in November. In a year when I was on sabbatical (thus, with lots of free time AND very little income), this news was especially exciting.